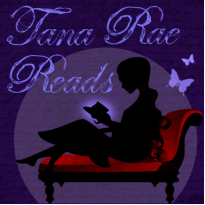 This is the first book I've read written my Chris T. Kat and will say I did enjoy her writing style and look forward to reading more in this series. We first meet Jeff who is a police detective in Atlantic City, Jess and his partner Parker are called out to investigate a murder. The murder victim is a disabled man. After a hard day’s work Jeff decides to go out and have a drink in a local bar and find a man to have a quick romp. Jeff doesn't do relationship and just wants to get his needs met. In walks Alex who decides he wants to spend his evening with Jeff. Jeff hesitates as Alex is not really his type but decides to go with it. The chemistry between these two is great and the banter is quite funny. The next day Jeff and Parker are called into their chief’s office and are asked to investigate the Major's daughters receiving some threats against her disable child. As the investigation begins Jeff and Parker work together to figure out what is going on and if the threats hold any merit. Meanwhile Jeff can't stop thinking about Alex and hopes to meet up with him again. The mystery, the romance is good, the topic however is kind of hard to read considering some of Jeff's internal thoughts. But I enjoyed the story and really want to read the next book to see how things are going for Jeff, Alex and Sean. I also want to hear more about Parker. Attachment Strings held my interested and I couldn't stop reading till I knew what was going on. The male/male romance is one of my favorite genres and I enjoyed this story, even though some of the Jeff's thoughts pissed me off. 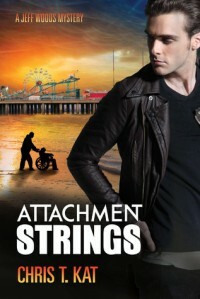 Overall if you like mystery, romance and some hot male on male encounters then you should pick up a copy of Attachment Strings (Jeff Woods Mystery, #1). I would gladly recommend this story to my friends.